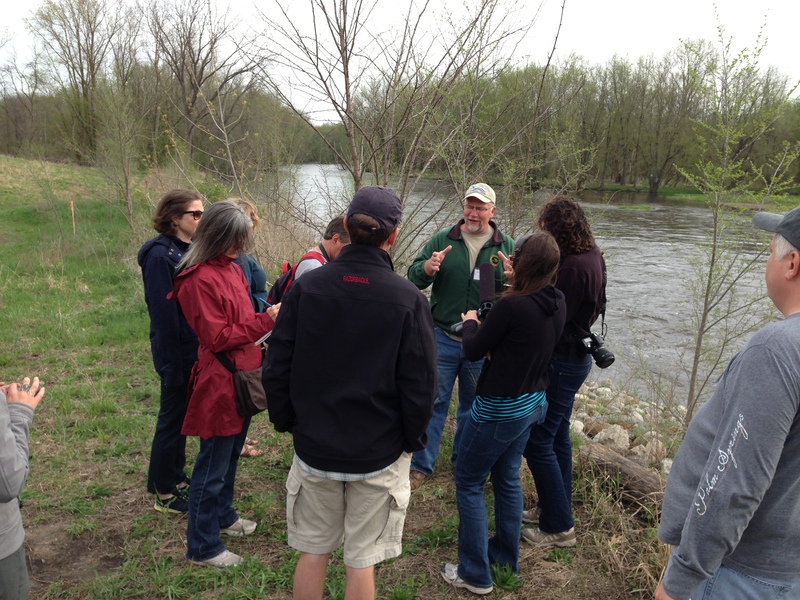 The IJNR-Kzoo fellows began their final Kalamazoo River Institute day in Plainwell, Mich., where Chris Freiburger of Michigan Department of Natural Resources discussed the pros and cons of dam removal. "(Dam removal) becomes very complicated because of the contamination in the sediment from paper waste," Freiburger said "So the idea instead became to maintain these dams so they don't fail." 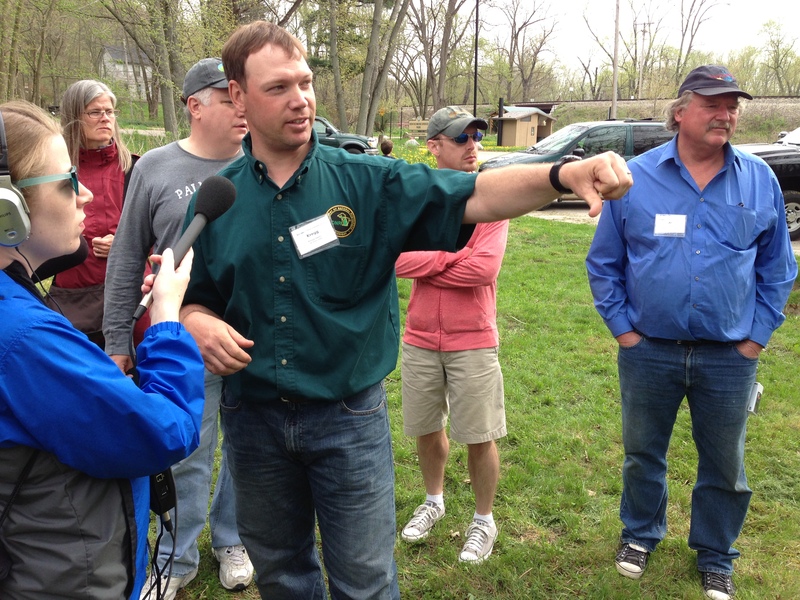 Freiburger said the extent of the contamination behind the Plainwell dam and others – and the cost to remediate that contamination took state officials a bit by surprise. The state has recently added a dam management grant program, however. There are an estimated 2,600 dams in Michigan, most built in the 1930s-‘60s, but others built for millworks as early as 1850. Put another way, within the next decade or so, about 90 percent of Michigan’s dams will be 50 years or older. 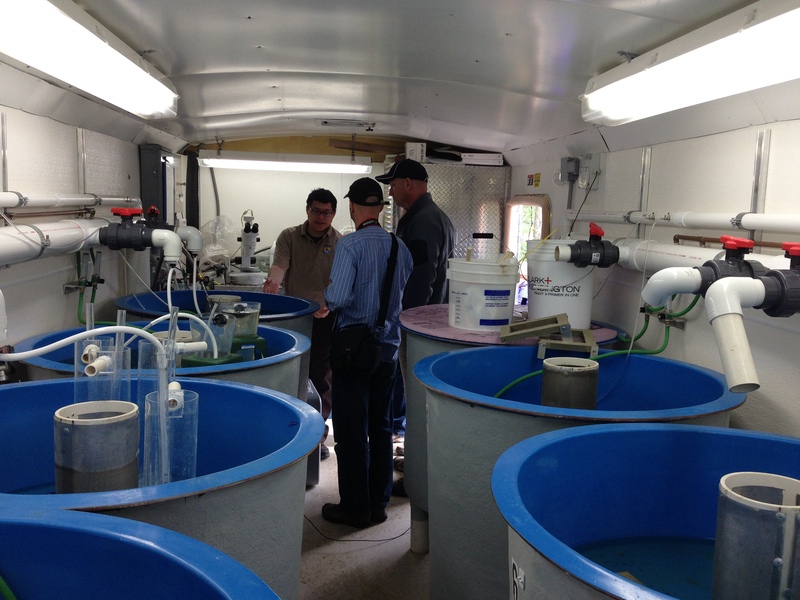 From Plainwell, the fellows went to the Steamside Sturgeon Rearing Facility in New Richmond, where several sources talked about the effort to restore the prehistoric fish to the Kalamazoo River. Sturgeon need decades to reach sexual maturity, however, and the Kalamazoo population is considered the most threatened population on the Great Lakes, said Kregg Smith, a senior fisheries biologist with Michigan DNR. The fellows then had a spectacular lunch at the Oxbow School of the Arts, the oldest summer art camp in the United States, and heard about the progressive history of the region and defense of the natural beauty against possible development. “What we have here is unlike any other place in North America, possibly the world,” said Todd Barkman, a professor of biology at Western Michigan University. Fellows were heading out to observe the dunes by early afternoon.